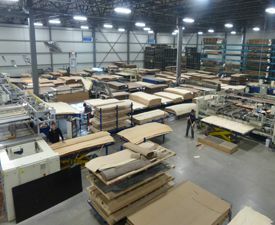 Lignum Veneer began its wood veneer operations in 2001 in Victoriaville, Canada, and immediately made a name for itself in the commercial and architectural door markets – thanks to the help of our industry-seasoned team which included our president, Michel Baril, who has been working in the field since 1984. 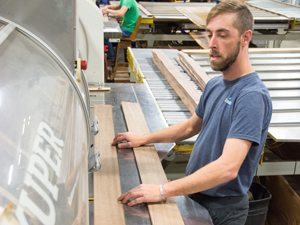 Our expertise has since expanded to several other North American markets, including the furniture, kitchen and bathroom cabinets, architectural cabinetmaking and plywood markets. Our rapid rate of growth over the years led to a series of much-needed expansions. 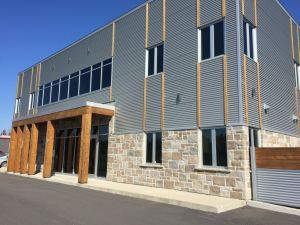 In 2014, Lignum relocated all of its operations to our current facility, which was entirely custom built to meet the needs of our staff and growing customer base. 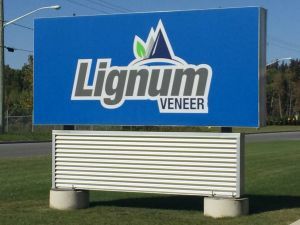 Today, Lignum Veneer has more than 40 employees and is a well-known name in the veneer business. 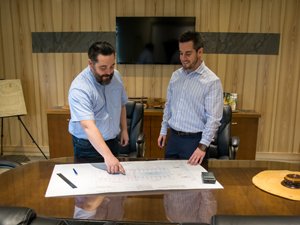 Our team constantly works to improve our products and practices so that we can always offer our customers the best possible products backed by the best possible service. 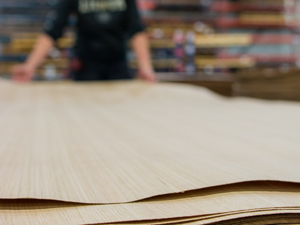 Our mission is to offer a wide range of carefully selected wood veneers, meticulously processed with the industry's fastest lead times.